In 2011, Forbes aptly called world famous Harvard Business School professor Clayton Christensen “one of the most influential business theorists of the last 50 years.” Christensen’s book “The Innovator’s Dilemma” perfectly exemplifies why he deserves such lofty praise. 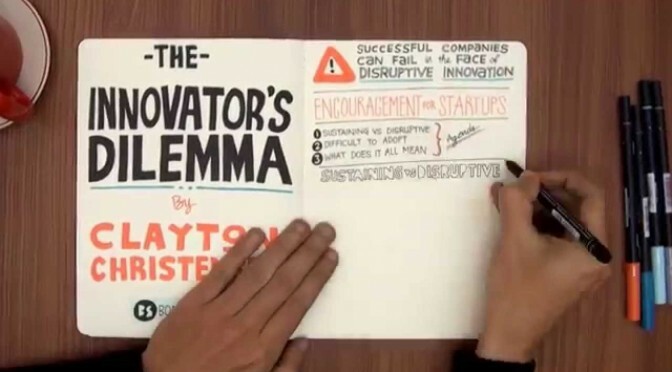 In “The Innovator’s Dilemma”, Christensen puts forth a theory that demystifies the seemingly inexplicable failures of some of the world’s most well-managed, exceptional companies. The theory of disruptive innovation is that disruptive innovations—innovations that improve products or services in ways unanticipated by existing markets—swiftly move upmarket and displace companies at the forefront of their respective industries. Christensen notes that paradoxically, the reasons for these companies’ success are the very reasons for their downfalls. “Precisely because these firms listened to their customers, invested aggressively in new technologies that would provide their customers more and better products of the sort they wanted, and because they carefully studied market trends and systematically allocated investment capital to innovations that promised the best returns, they lost their positions of leadership,” he writes. Christensen poses a flawless, revolutionary solution to this paradox. He explains with precision that evaluating and addressing customers’ articulated needs worked against these companies in the face of disruptive innovations because the speed of technological advancement outpaces the rate of progress expected, desired, and even comprehended by markets. As a result of customers’ failure to understand and envision the utility of disruptive technologies, established companies reliant on comprehensive market research are led to the faulty conclusion that disruptive innovations are unworthy of their time and resources. Entrant firms then come onto the scene, building emerging markets for disruptive technologies and superseding leading companies that were wholly unprepared for the meteoric market shifts that such technologies precipitate. Christensen conscientiously establishes the soundness of these propositions. He demonstrates their internal validity by applying his failure framework to the disk drive industry in excruciating detail, and he proves that his framework is externally valid when he uses it to explain the histories of industries with remarkably different characteristics than those of the disk drive industry. The theoretical strength of Christensen’s work can be largely attributed to his airtight logic and the broad validity of his arguments. In addition to identifying a previously unrealized problem faced by leading companies, Christensen proposes actionable ways for managers to confront it. He names five laws of disruptive technology strong enough that “managers who ignore or fight them are nearly powerless to pilot their companies through a disruptive technology storm.” His book teaches managers how to harness these forces and successfully overcome the challenges created by disruptive innovations. And perhaps the greatest strength of Christensen’s work is its inclusion of advice so shrewd and insightful that managers who read it will be equipped to not only survive a turbulent disruptive technology storm, but also see a rainbow.